Best Studio Monitors: 15 Of The Best In 2018! Having the best studio monitors are one of the few things you absolutely need when it comes to music production. In fact, they’re more important than having a good pair of headphones! That’s because it's easier to spot where things are coming from with monitors, and they give you a much more accurate measure of stereo image, which is absolutely crucial for mixdowns. Don’t believe us? There’s science behind it. With headphones, your ears are fed audio at exactly the same time. This results in a sound that comes from “inside your head,” rather than being in front of you. And if you utilize panning and other audio effects, your instruments will sound much wider than they actually are when listening on headphones. Since the audio from a monitor is being fed to your ears from in front of you, it’s much easier to assess stereo elements in your track. For more information about mixing with monitors versus headphones, check out this article on musicradar. What you'll realize from reading it is that monitors are a lot more beneficial. 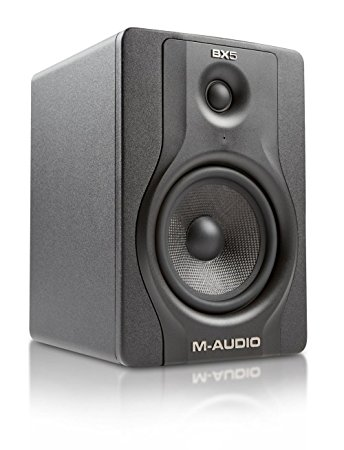 In fact, the best studio monitors are so crucial for mixing that many professional studios will spend thousands of dollars on the best setup money can buy. Fortunately for you though, there are also a lot of budget friendly monitors that were designed for home studios. And don’t worry, they still deliver professional quality sound. Because it can be difficult to tell which are the best studio monitors exactly, we’ve created a list of The 15 Best Studio Monitors of 2018. What Makes The Best Studio Monitors? If you don’t already know what a studio monitor is, it’s pretty simple. They’re just the most common type of speaker used for music production in a studio. There are many other types of speakers, but the best studio monitors provide the best sonic quality for a studio environment. 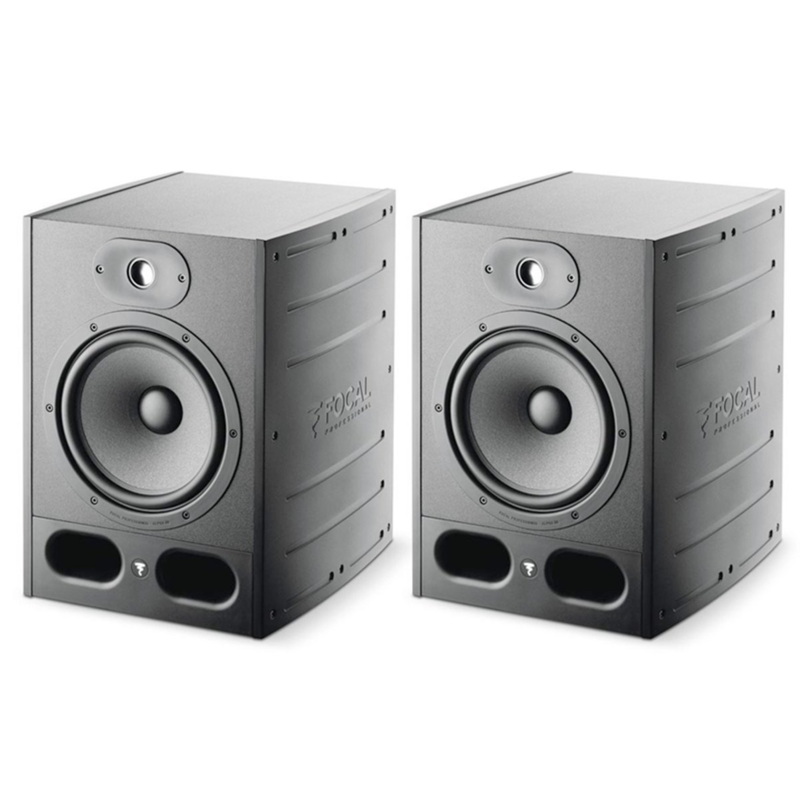 So how do you know which are the best studio monitors for you? First of all, you need to consider the size of the studio monitors you want. This will mostly depend on your budget and studio space, so take this into consideration before you start looking for a set of monitors. Studio monitor sizes are described in inches. This refers to the size of the actual speaker cone (that’s the big round thing on the front of the speaker). And as you would expect, bigger speakers pack a bigger punch, and often, come with a bigger price tag. But don’t worry, we definitely kept price in mind when creating this list. We didn’t want to put any monitors on this list that were way out of the price range of the average producer. Because of that, most of the monitors on this list are less than $1,000 USD for a pair with a maximum price of $2,000 USD per monitor. This is the absolute maximum we believe most people would be spending on a monitor for a home studio. Brand - It’s important to consider the reputation of the brand when it comes to audio equipment. Some brands provide higher quality equipment than others. Reliability - Every monitor advertisement says their monitor has the best frequency response, the tightest bottom end, great mids, and sparkling highs. But what actually matters is what people are saying about them. You want a monitor that not only sounds great, but will also be reliable for years. These are the best studio monitors for those of you on a budget or just getting into production. However, many of these monitors can lack in low-end, so consider getting a sub in addition to these monitors as well. 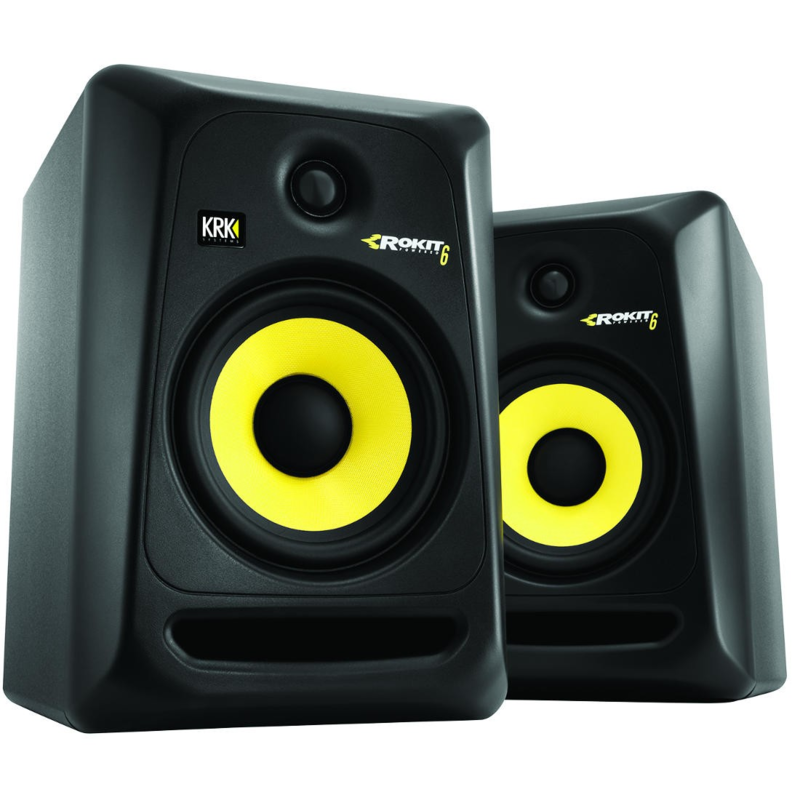 If you’re looking for your first pair of studio monitors and don’t want to break the bank, look no further! The KRK Rokit 5 G3 is a great choice. They go for under $300 USD and still pack a punch. This may come as a surprise since some monitors at this price point lack power, but the Rokit 5 will definitely exceed your expectations. This is even more impressive, since they’re relatively small (5”). Another huge upside to these monitors is that they have the same amount of connectivity you would expect from a top-of-the-line monitor. In fact, these monitors feature a Balanced XLR, Balanced TRS (¼”), and unbalanced RCA connection. Not to mention, they are so popular that you can easily find a cheap used pair. Many people buy these monitors as their first pair of monitors and then decide to upgrade a few years later to pricier models that pack a little more punch. When hunting for used models you may notice “g2” or “g1” models available. This refers to the generation of the model. You can check out used models on reverb.com. Check out the complete list of technical specs at krk’s website. JBL is widely known for producing high quality products, and this couldn’t be more true when it comes to the LSR305. 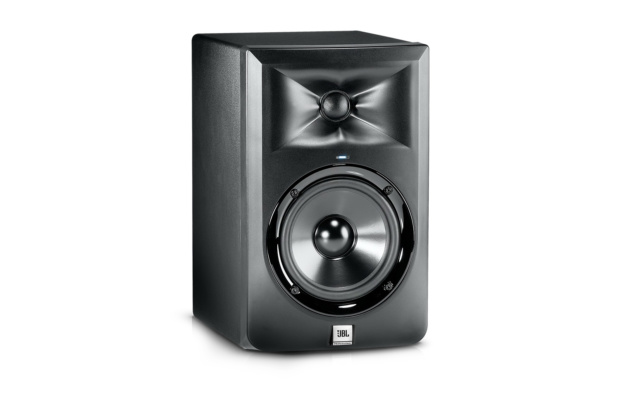 JBL has successfully produced one of the best, most reliable entry-level studio monitors on the market. These monitors are well reviewed for their sense of stereo imaging (a big reason why you should get monitors in the first place). These monitors also provide an incredible sense of clarity and tone, especially for such a low price. In fact, the price is actually one of the biggest advantages of this speaker. You get JBL quality for as low as $240 USD for the pair! This is an extremely competitive price point, and you truly get a ton of value for your money. And not only does this monitor provide you with some of the clearest audio quality in it’s class, it's also recognized for it’s design. The first thing you’ll probably notice is the incredibly unique waveguide on the top speaker. This is designed to ensure that the highs in your audio are as precisely controlled as possible. The shape of the guide ensures that your listening experience is neutral and accurate. As for connectivity, this speaker features balanced XLR and TRS inputs, but no RCA inputs. This could be seen as a drawback if you need to connect to RCA equipment, but it’s not crippling by any means. There is also an 8” version available that delivers the same clear audio, just with more distinct and punchy lows. Check out the technical specs at JBL’s website. Since its foundation in 1988, Mackie has been providing all sorts of high quality audio equipment, and their Mackie MR5 mk3 is no different. In fact, these monitors are praised for being extremely clear and having impressive bass for their size. The stereo imaging is also regarded as one of the best in it’s class, since these speakers are quite responsive in the high frequencies. As far as the physical design of this speaker, it has a futuristic “moon crater” like appearance that is incredibly appealing. Connectivity wise, this speaker has 3 different inputs: balanced TRS, balanced XLR, and unbalanced RCA. This should give you all the connectivity you need. This monitor is another great entry-level option, as prices hover around $240 USD for a pair. And if you have a bit more in your budget, you could consider the 6” and 8” version of this speaker for greater bass tonality. Check out the technical specs at Mackie’s website. M-Audio is well known for providing great equipment at an affordable price, making the BX5 D2 another great entry-level monitor. This monitor places emphasis on the mid-range, making it perfect for people that are constantly mixing vocal, guitars, or other mid-ranged instruments and sounds. You can easily compensate for the lack of bass in this speaker by either spending the extra money on the 8” BX8 or by getting a subwoofer. The physical design of this speaker is simple and functional. This speaker features a kevlar cone for added durability, while many other speakers in this price range feature a flimsy plastic cone that is nowhere near as durable. As for the connectivity of this model, it features balanced TRS and XLR inputs. If you need to connect to RCA equipment, an adapter is required. Expect to spend around $300 USD for this pair of monitors, which is pretty average for it’s class. Check out the specs on M-Audio’s website. The Presonus Eris E5 is a bit of an underdog in its category. They’re not a well known set, but they sure do provide fantastic value and quality. These speakers are reviewed well for their impressive audio clarity, especially when it comes to the bass frequencies. This is because of the slightly larger size of its cone (5.25”) when compared to regular 5” monitors. Many of the best studio monitors in this category generate a muddy bass tone in hopes of making the speaker sound more punchy on the low end. The Eris E5 on the other hand, generates a tight, precise bass tone. The incredible clarity is matched by its elegant design as well. The body of the monitor is rather minimalistic, and the blue speaker cones are a nice touch. Not to mention, it features great connectivity, with balanced TRS, balanced XLR, and unbalanced RCA inputs. A unique feature that was factored in the design is “soft startup.” This means that unlike many other speakers, you won’t experience loud pops or bangs when you are connecting, or powering on and off. This really shows the attention to detail that went into the design of the speaker. If you’re looking for a little more punch, you can opt for the Presonus ES8 (8”) as well. This speaker is definitely an option to consider, even if it’s not the most well known option on the market. Check out the specs on Presonus’ website. If you’re looking for sheer power out of 5” monitor, definitely consider the A5+. For being a 5” speaker, these monitors carry incredible bass. Not many monitors this size can pick up frequencies as low as 50Hz. In addition to delivering clean lows, these speakers also provide crisp highs. The audio quality is not the only thing that’s great about this speaker, Audioengine delivers a well-constructed, sturdy design with the A5+. There are 3 different colors available, so you can choose which monitors best suit your personal style. These monitors also support a direct USB plugin, which could eliminate the use of an audio interface all together. As far as connectivity, these monitors feature RCA inputs AND outputs. This will make connecting to a subwoofer a breeze. These monitors also include TRS inputs as well. This monitor is powerhouse for it’s size and price, so definitely consider it if you’re looking for a 5” monitor. These can be the best studio monitors for the price range. They can be as cheap as $350 USD for a pair, depending on which color you choose. Check out the full specs at Audioengine’s website. These are the “middle-of-the-road” options when it comes to the best studio monitors, and many producers won’t need monitors any better than these. These models are a bit pricier, but the money is worth it, as you may never have to upgrade. Keep in mind, many of the models above in the entry-level section offer bigger mid-range options as well. Consider this when choosing the right pair of studio monitors. 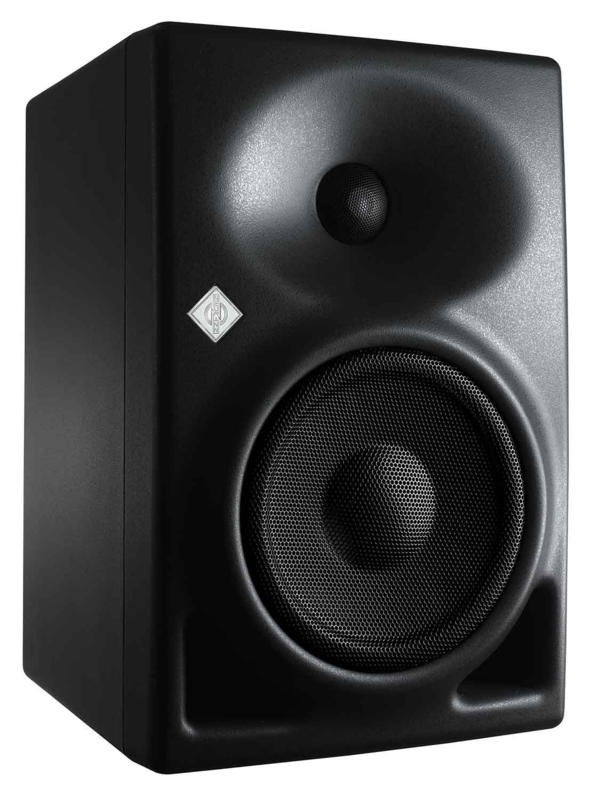 The Yamaha HS8 is the most commonly used mid-range studio monitor. You will see great reviews for this studio monitor on any website you go to. That’s because this monitor has been delivering professional audio quality at an affordable price for decades. Many professional studios even use these monitors because of their sheer value and performance. These monitors are well reviewed for their accurate, clear sound. The highs are crisp, the mids are focused, and the lows are punchy and loud. This makes it an awesome option for those looking to get serious with their production. There a lot of larger speakers that suffer from muddy lows that drown out the mids and highs, fortunately, the HS8s are not in this category. Although a sub is recommended for all studio setups, the lows are so great on these speakers that you can definitely go without one for awhile. As far as the physical design, it hasn’t changed for years, and that’s because it works! These speakers are instantly recognizable by the white 8” cone and minimalistic design that allows the speaker to not stand out too much in the studio. As far as connectivity, it features balanced TRS and XLR inputs, this should do for most audio interfaces you will be using. Yamaha also offers a cheaper HS5 5” model, and a more premium HS8S model that features an even more powerful amplifier. You can get a set of these monitors for less than $600 USD if you search hard enough. 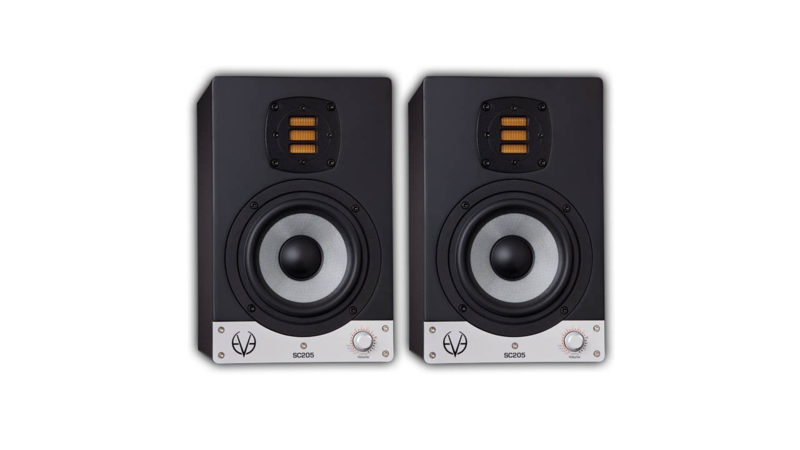 This is a very competitive price for such a well performing set of studio monitors! Check out the full specs at Yamaha’s website. If you need a compact package that still provides a professional audio experience, EVE Audio’s SC205 studio monitors are a fantastic choice. These are the best studio monitors for those of you that don’t have a lot of room to work with. EVE Audio’s SC205 are well reviewed for their dynamic range. If you were blindfolded and placed in front of these speakers, you wouldn’t assume they are 5” speakers because they provide an INSANE amount of bass for their size. In fact, some reviews even compare these monitors to speakers of larger sizes. The other frequencies don’t lack either. These speakers provides a tight mid range, and detailed highs. The build quality of these speakers is quite solid as well. The speaker features a metal plate on the front for added durability and a robust Silver Cone woofer. They will last for thousands of hours of use. The extra power for its size does come at a price, however. These monitors run about $1,200 USD for the set, but the quality is definitely worth it. If you want this same quality, but in a bigger speaker, there are also 7” and 8” options available. Check out the full specs at EVE’s website. 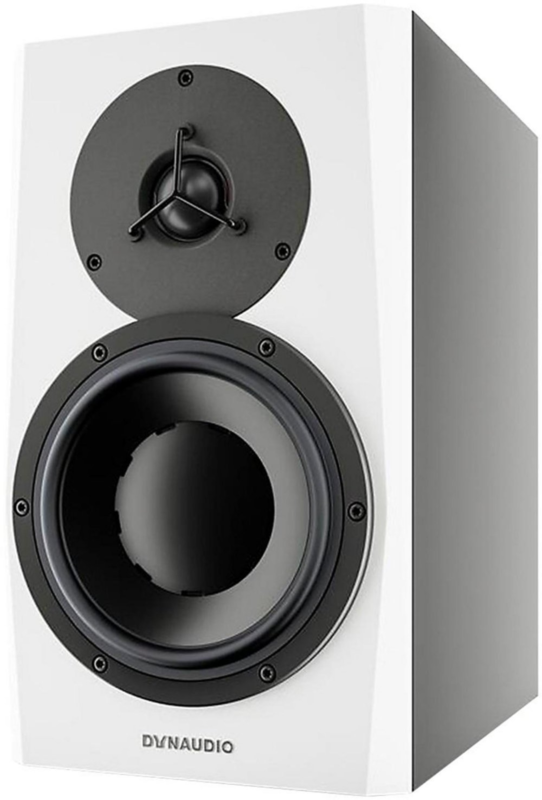 The Dynaudio LYD 7 was designed with home producers in mind. Dynaudio is aware that many producers don’t exactly operate in the optimum acoustic environment. Because of that, it features great adjustability in order to dial in the tone depending on your studio space. These speakers provide one of the most neutral sounds on the market, which is a great thing because many speakers can distort audio in ways you don’t even notice. As for the physical aspects of this model, these are definitely one of the coolest-looking speakers on the market. The sleek white body is accented by the black 7” cone on the front to produce an elegant appearance. Not only that, but the build is sturdy as well. This is because Dynaudio used a strong composite body for added quality. On the back of the speaker, there are balanced TRS and XLR inputs. These speakers run about $1,340 USD for the pair, with a cheaper 5” model and more expensive 8” model available. Check out the full specs at Dynaudio's website. Focal has been established as a respected manufacturer of professional-level studio monitors for years. Their latest update of their flagship model, the Alpha 80, couldn’t reflect that reputation more. These speakers are renowned for their stereo image, easily allowing you to identify different layers in a track. The Alpha 80s perform well in every category, and provide a neutral, crisp tone. The build quality of these speakers are among the best on the market, and the enclosure is one of the sturdiest out there. Connectivity wise, these speakers feature balanced TRS and XLR inputs and unbalanced RCA inputs. These speakers run about $1,100 USD for a pair, with a cheaper 6.5” option available. Check out the full specs at Focal's website. Sometimes when you mix on high-end monitors, the song sounds great in the studio but terrible elsewhere. That’s where the Avantone Mix Cubes come into play! Be warned though, if you don’t already own a great pair of studio monitors don’t consider these as an option as your main set of speakers. This way you can get a much better idea of how your tracks will sound on a variety of everyday devices that people use to listen to music. These speakers feature only one balanced XLR input and a pair of these will run you about $500 USD. The Avantone Mix Cubes are extremely helpful for preparing your music for distribution, so definitely consider adding these to your studio. Check out the full specs at Avantone's website. Neumann has been involved in the audio industry for over 80 years while making some of the best microphones in the game, so it’s an extremely respected brand. In 2010, Neumann decided to extend that same quality into the world and create one of the best studio monitors. The latest model of studio monitors from Neumann is the KH120, which delivers incredibly clear audio. These are professional quality monitors, and will provide you with one of the best audio experiences possible. As for the physical design of the monitors, the first thing you will notice is that these speakers feature only one XLR input. This can definitely be viewed as an issue because a lot of audio interfaces use TRS plugins. Before buying these monitors, consider the inputs in your audio interface, which will determine if you will need an adapter or not. The audio quality is really what sets these speakers apart. This speakers are very well reviewed, even holding several awards because of how good they sound. While the speakers aren’t exactly the most stylish on the market, they surely make up for it in a lot of other ways. Instead of opting for style, Neumann went for durability. This speaker features a metal grille to protect your speaker cone. The body of the speaker is sturdy and dependable, ensuring that these speakers will last you for years. The Neumann KH 120 provides a premium experience at a premium price. These monitors cost about $1,500 USD per pair. Check out the full specs at Neumann's website. Genelec provides one of the most premium audio experiences on the market with these speakers. 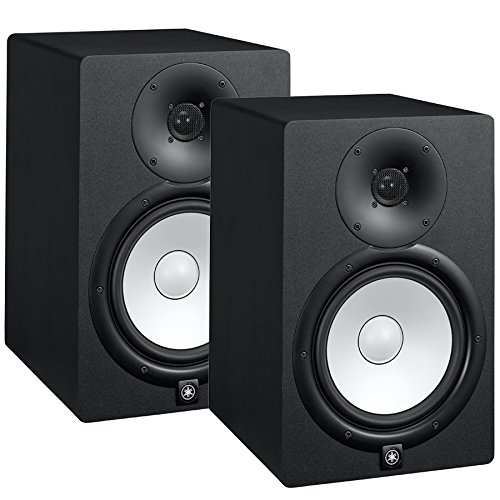 If you’ve got some money to spend on studio monitors, but don’t want something incredibly bulky these are a great option. These speakers offers a crazy amount of adjustability in order to suit the acoustics of your room. This set of monitors also features technology that provides a wider listening area and better stereo imaging than most monitors on the market. There is not much to say about the physical design of these speakers, but don’t let your eyes deceive you. Genelec designed the enclosure utilizing natural composites in order to provide the most natural and crisp audio quality possible. The woofer itself is only 6.5”, but it outperforms most of the 8” monitors on the market. These speakers are connectable via balanced TRS or XLR inputs, which is pretty standard for speakers of this quality. If you decide the Genelec M040s are for you, get ready to shell out some cash. A set of these will run you more than $3,000 USD. If you do get these however, you’ll have one of the best audio setups in the world for many years. 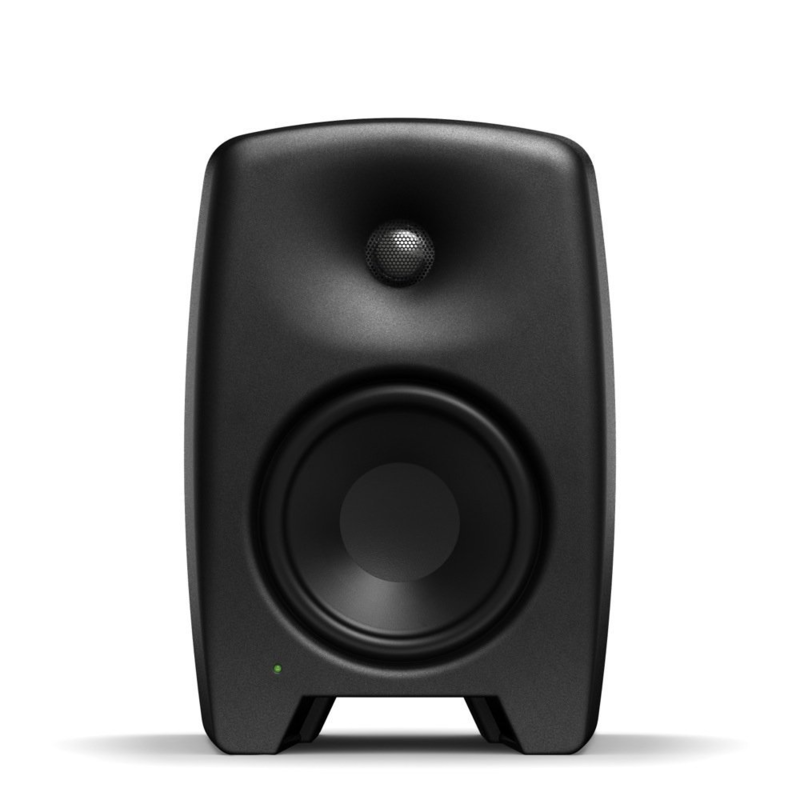 Check out the full specs at Genelec's website. 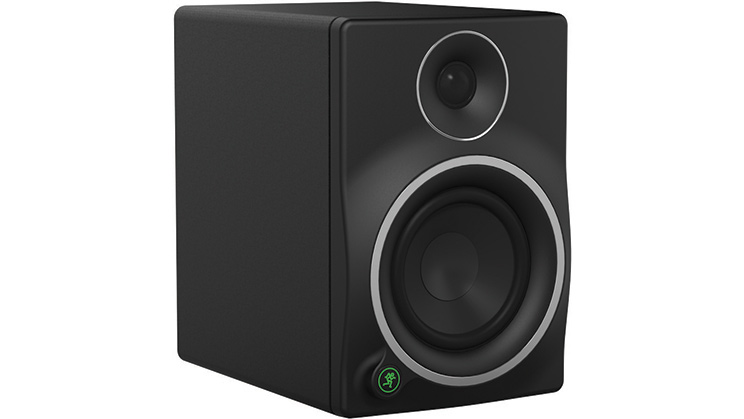 The focal Twin6 Be is the most powerful monitor on this list because it features a 3-way design. That means that these speakers have two subwoofers and one tweeter instead of the typical 2-way design featuring only one subwoofer. This really sets these monitors apart. 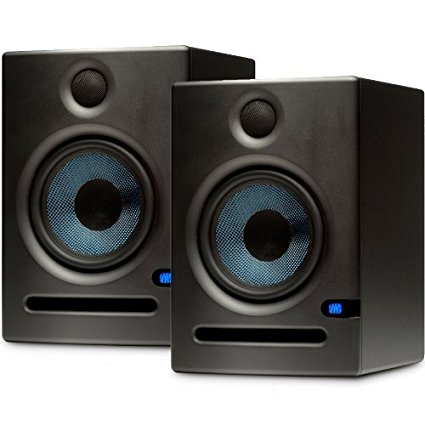 These speakers are designed to provide the best audio quality possible in a studio environment. Respectively, we recommend these only if you have a proper studio setup with acoustic treatment. These are by far some of the best and most popular speakers for high-end studios. Not only do these speakers sound great, they’re also some of the most visually appealing monitors on the market. The cherry enclosure provides an elegant look, while the dual silver 6.5” cones complement the enclosure nicely. Connectivity on these speakers is pretty standard. This model features balanced TRS and XLR inputs. These monitors are actually some of the cheaper 3-way speakers on the market, costing $3,200 USD for a pair. These monitors are truly some of the best on the market, so the price is justified. Adam is well known for their high quality, reliable audio equipment. Their speakers are quite simply some of the best in the industry, and the A77X is the best of what they offer. 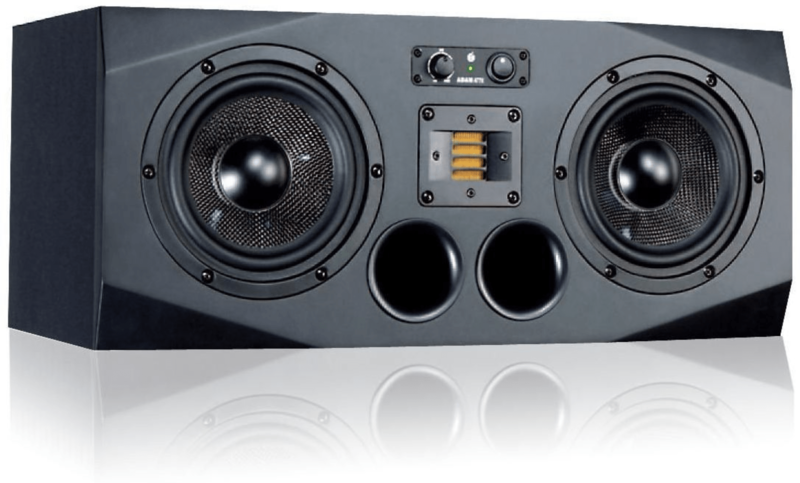 These speakers provide a crazy amount of focused bass, while maintaining clarity in the mid and high frequencies. The Adam A77x monitors also have an incredible reputation, providing unparalleled depth and stereo imaging. These are another set of speakers that require a professional level studio to unlock the full potential, and they most definitely won’t be your first pair. The high-tech audio experience is matched by a high-tech design. The outstanding dual carbon-fiber cones and enclosure both look incredible and are extremely durable. On the back side, these speakers feature balanced XLR and TRS inputs. If you have the cash and the proper setup, these are the speakers to get! These speakers are priced competitively, as you can get a pair of them for $2,432 USD. This price beats out any other high-end 3-way monitor on the market. Check out the full specs at Adam's website. Having the best studio monitors can make a huge difference in your production. They become a valuable tool in your arsenal as a producer, so consider carefully which model you plan to add to your studio. In addition to reading over this article, we recommend also checking Youtube reviews on the monitors you are considering. Youtube is a great resource that provides you with a really solid idea on how a certain set of monitors will perform. If possible, try to go to your local music store and test out a few pairs of monitors as well. This is really the best research option, as no two sets of ears are the same. A speaker that sounds great to somebody else might sound terrible to you! 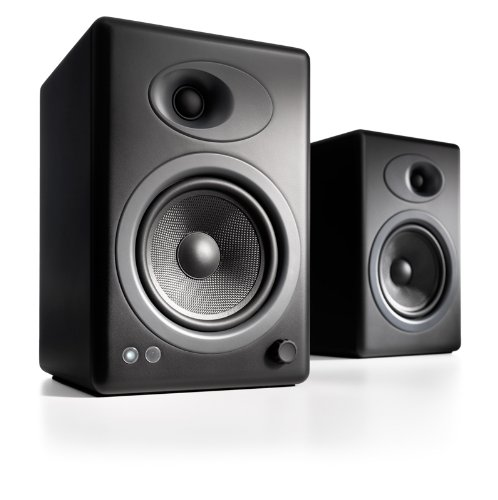 One last thing to consider when purchasing the best studio monitors for you is supporting equipment such as a subwoofer, stands, a good audio interface, cables, or anything else to complement your new purchase. In fact, many times you can find bundles that include many of these items for a better deal! Pro Tip: One thing that we definitely recommend when getting a new set of monitors is something called a ground loop isolator. Many times when you plug a pair of monitors into a computer, you get an annoying static sound that never goes away. This drastically reduces your audio quality. Luckily, something like this from Behringer will eliminate that noise completely! Just make sure it has the right connections for your monitors, and you should be good to go! We now want to hear from you! Do you own any of the best studio monitors on this list? What do you think the best studio monitors are? We will be tallying up your votes and adding a graph of them to this article in the future, so help us out!